The BACH Music Family - How Long Did They Remain Significant? Sara Levy, student of Wilhelm Friedemann Bach, Friend of the Carl Phillip Emanuel Bach family, collector of Bachiana and great-aunt of Felix Mendelssohn relates how the Bach sons kept the Bach name alive in the world of music after their father's death. I have known the Bach family for years and years. I studied harpsichord with Johann Sebastian Bach's eldest son, Wilhelm Friedemann. In fact, Wilhelm often told me I was his favorite pupil. Wilhelm Friedemann was a brilliant organist and improviser, but he never lived a happy life and unfortunately died in poverty in Berlin years ago. Vater Johann Sebastian Bach und seine Söhne Philipp Emanuel, Johann Christian, Friedemann, Johann Christoph d.J. Johann Sebastian Bach's second son, Carl Phillip Emanual, on the other hand, was hugely successful, both in Berlin and later in Hamburg where he had a post very similar to his father's St. Thomas position. Carl Phillip's family and I have been wonderful friends for years and years. CPE is best known for his Essay on the True Art of Playing Keyboard Instruments. The treatise is now used by every important teacher in the land, including Beethoven's. The younger Bach boys were also quite the musicians. Johann Christoph Friedrich ended up in Buckeburg, Germany as a court musician and there he happily stayed all his life. In fact, people call him now the Buckeburg Bach. Johann Sebastian's youngest son, Johann Christian, who was only 15 when his father died, lived for a time with his brother, Carl Phillip in Berlin, but soon left Germany. Johann Christian was the first Bach to do such a thing! He studied and worked for a time in Italy and learned to compose in a totally different style than any of the other Bachs. In fact, he composed mostly opera in the Italian style. Eventually he ended up in London where he was a court composer for the Queen. Here is a little story to show you how different he was from his father and brothers. As the story goes, the Queen commanded Johann Christian to play a concerto on the organ between the acts of his new oratorio. She wanted Johann Christian to emulate the great Handel's style. As the story goes, the young Bach's playing was so awful that the audience hissed and the boys in the chorus laughed. As you can imagine, Johann Christian was mortified, but he simply was not an improviser or a composer of organ music. With the death of Johann Sebastian Bach's grandson, Wilhelm Friedrich Ernst Bach, in Berlin on December 25, 1845, the last musically significant descendant of Johann Sebastian Bach was gone. The long line of musical Bachs was extinguished. The music of the Bach family music might have gone unnoticed for centuries if it had not been for our family. I knew the music of the Bach family was great music! I knew this great music had to be preserved so I collected as much of it as possible for my library making sure this great music was not lost. As a patron of the arts, I wanted to make sure that the great music of the past was not allowed to die! I am sure you have heard of my great-nephew Felix Mendelssohn. On Christmas Day of 1825, he was given the manuscript the great St. Matthew Passion, one of Johann Sebastian Bach's greatest oratorios. In 1829, my great-nephew led the modern premiere (the first performance since the death of Bach) of this great work that led to the 19th-Century "Bach Revival." I do hope the music of this great master, Johann Sebastian Bach and the music of his sons will live on in concerts and churches for centuries to come. Dr. Jeannine Jordan has a doctorate degree in organ performance with an emphasis in Baroque repertoire. She studied with renown Swiss organist, Guy Bovet, has performed throughout the world, and presents the organ music of Bach in a creative program, "Bach and Sons," utilizing visual media and narration. She has also recorded organ music of Johann Sebastian Bach and his sons on historic 17th and 18th century organs in the Bach region of Saxony, Germany. Who Were Katharina And Maria Barbara In The Life Of JOHANN SEBASTIAN BACH? Maria Barbara, did you hear who is coming to town? It is Johann Sebastian, our dear cousin Ambrosius' son. He has been away from Eisenach so long I am not sure I would recognize him. When his parents died he was sent to live with his brother Christoph in Ohrdruf for a few years, then I believe he was sent all the way to Luneburg for school. Lately, though I heard that Johann Sebastian had been playing the violin for the Duke's court in Weimar. Now, Johann Sebastian has just been appointed the organist at the Neukirche right here in Arnstadt where that incredible new organ was just built! I was told that the concert Johann Sebastian gave when he came to try out the new organ was simply astounding and the committee just had to appoint him organist! I think I also heard, though, that he has to conduct the boy choir at the Neukirche. I wonder if he knows about that? I really do hope Johan Sebastian is up to the task of working with those ornery boys at the school. They sing so badly and can just be so awful! However, the best news of all is that Sebastian is coming to visit his relatives next week when he gets to Arnstadt. That means us! We will be seeing our dear cousin Johann Sebastian very soon. You know he will be living at the Mayor's house, don't you? I can hardly wait to see him again! Maria Barbara, have you heard? Johann Sebastian was just in a fight. I happened to be walking down the street near the Neukirche when this brawl erupted and that awful bassoonist Gegenbach and our dear JS had come to blows. I think our cousin Johann got the best of that little bassoon player, though, as Johann drew his sword and just cut to tatters Gegenbach's clothing! I was there! I saw it! And more than that, I am going to testify to the city authorities that the fight was not Johann Sebastian's fault! 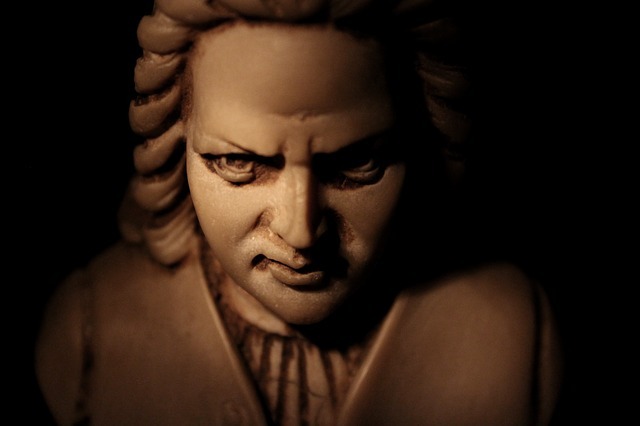 Poor Johann Sebastian is just so bothered by those awful no-count untalented boys at that school. It is too bad he can't just compose his beautiful organ music and be left alone. The organ music dear Johann is composing now is so interesting. He tells me a wonderful composer named Georg Bohm that he met while he lived in Luneburg influenced him greatly. He just loves to compose variations on our wonderful hymns. Why sometimes just to be different, he puts the melody in the pedal in many of the pieces he is composing right now. He really is a genius that cousin of mine. This story is one of a dozen vignettes from the organ and media event, "Bach and Sons" performed by Dr. Jeannine Jordan, concert organist. She has also recorded organ music of Johann Sebastian Bach https://promotionmusic.org/Bach___Sons_PNQ5.html and his sons on historic 17th and 18th century organs in the Bach region of Saxony, Germany. Visit Bach and Sons to schedule a free consultation with Dr. Jordan to discover how you can bring Bach to your community. Johann Sebastian Bach's contributions to the music of the Baroque era are undoubtedly among the most important in history. His unparalleled ability to combine eclectic techniques, styles, and traditions are perhaps the most important aspect of his compositional virtuosity. Having composed music of sacred and secular purposes, as well as within the many genres of Baroque music (opera excluded), J.S. Bach's role as a composer can ironically be described as that of a "Renaissance man." While his innovativeness did not extend very far from the techniques and styles of his predecessors and contemporaries (it was his mastery of these styles that exposed his true innovative effect on music), his ability to express himself emotively without attaching the music to his own biographical perspective, his outstanding skill in terms of applying compositional techniques, and his affinity for the infusion and juxtaposition of seemingly disparate musical characteristics were the most salient markers of his place as arguably the greatest composer of the Baroque era. A study of Bach's influence on this historically profound era in musical composition and expression may appropriately begin at the analysis of his music for keyboard instruments (e.g. organ, harpsichord). Influenced by the monumental, highly ornamented style of Dieterich Buxtehude, Bach's music for the keyboard is exemplified by his Preludes and Fugues. In his toccata-style compositions, Bach explored the juxtaposition of highly-contrasting sections to the point that these sections became distinct movements within a piece. The quasi-improvisatory nature of the prelude drew on the compositions of preceding composers of the French Clavecin School - namely Louis Couperin's 'prelude non mesure' - in its adoption of a non-imitative style. However, this style was improved upon by keeping the music within a structured metric scheme. By doing so, Bach ensured that his preludes were less esoteric than his contemporaries' in terms of performance and emotional expression; anyone could play and interpret his works, for their meaning and expression was not specific to the composer. The metric structure of these movements also meant that they could be easily reproduced through print. As an example, the first movement of "Prelude and Fugue in C Minor," titled "Das Wohltempiert Klavier" (English: "Well-Tempered Keyboard"), portrays the repetition of a single melodic figure (in the form of an arpeggio) applied to a repeated rhythm. This technique is known as 'motoric rhythm,' and functions as a textural contrast in which tempi were also varied. Aside from many of his dance suites, Bach usually composed his preludes as a non-imitative introduction to a Fugue. These imitative expressions of subject-and-exposition often contrasted, in unsurprising monumental fashion, the nature of preceding preludes, and in more than one case expanded on the imitative structure of canon. An example of this expansion is seen in his organ piece, "'Little Fugue' in G Minor." In this piece, the concept of canon-style expositional imitation is altered so that subjects and expositions take on new meanings as musical context is retrospectively apparent. As if this extremely advanced application of compositional technique was not enough to reflect J.S. Bach's virtuosity, his "Art of Fugue" (German: "Die Kunst der Fuge") actively archived all possible imitative techniques of fugue-style music. Upon establishing a remarkably simple introductory subject melody, he subsequently applied a variety of imitative devices, such as inversion, retrograde, retrograde-inversion, and even much more specific techniques such as 'stretto.' While shortly after his death (he did not complete this volume) Bach's "Art of Fugue" was considered obsolete in the presence of the 'stile galant,' this collection of fugue pieces is regarded today as the greatest compositional work of imitative techniques, and serves as a testament to J.S. Bach's importance in Western musical history. The French Clavecin School, including influential composers such as Chambonnieres, Couperin, Lully, and D'Anglebert, was responsible for the standardization of the Dance Suite during the Baroque era. Bach composed both solo instrumental and orchestral works based on these standardizations. However, his talent for perfecting and infusing compositional techniques from many sources and styles is once again apparent in these works. For solo instrumental dance suites - which Bach prepared for a variety of instruments ranging from the harpsichord to the transverse flute - both French and Italian techniques were adopted. While Bach made an effort to remain within the constructs of the French Clavecin School in these instrumental pieces, he often abstracted this model. For one, his preludes were not strictly 'non mesure,' but reflected a quasi-improvisatory nature and occasionally resembled 'recitativo' expression. Furthermore, Bach followed the (accidental) ordering of a suite's movements as established by Froeberger's publisher by ending each suite with a 'gigue' movement. Otherwise, the style of the suites were relatively conservative in that they followed the structure of late French composers and focused on the nuclear movements of a dance suite, rather than reflecting later trends such as the dissolution of movements as typified by Couperin's ('le grand') 'ordres.' Further evidence of his adherence to the French style is seen in his omission of the fast-tempo 'sarabande' in favor of the 'sarabande grave.' These suites were not solely reflective of French influences, however. The inclusion of 'doubles' - repeated movements with the addition of even-note 'passaggi' - was purposefully designed to mimic the compositional techniques of Italian composers. Cumulatively, Bach's solo instrumental suites represent dance music's transition from purely entertainment-focused to the realm of serious listening and interpretation; even the most simple styles and techniques of the French School dances were elaborated into intellectual challenges for the listener. J.S. Bach did compose dance music that starkly contrasted the conservative nature of the French model in his orchestral suites. While he only composed four of these pieces, all of them begin with 'ouvertures' (a testament to the influence Lully in contrast to the style of toccata-based preludes). Also, unlike his adherence to the traditional French model as seen in the solo instrumental suites, the orchestral suites often omitted, renamed, or rearranged many of the 'nuclear' movements (exemplified by the fact that these pieces never included an 'allemande' as their second movement); this decision shows how Bach was in fact influenced by Couperin's ('le grand') 'ordres.' By contrasting the styles and titles of their movements, this discrepancy can be shown through his work for solo instrument, "Lute Suite No. 1 in E Minor," and the orchestral work, "Orchestral Suite No. 3 in D Major." This movement's texture includes entrances of short melodic themes in many instrumental timbres, and even juxtaposes these themes with counter-melodies. The third movement is reminiscent of a 'gigue,' which is cheerful-sounding and imitative, but the comparison ends there due to its use of double-meter and its likeness to the subject-exposition structure of a fugue. However, it is not strictly a fugue, either, due to the fact that at one point the subject stands alone and is countered by another polyphonic melody. 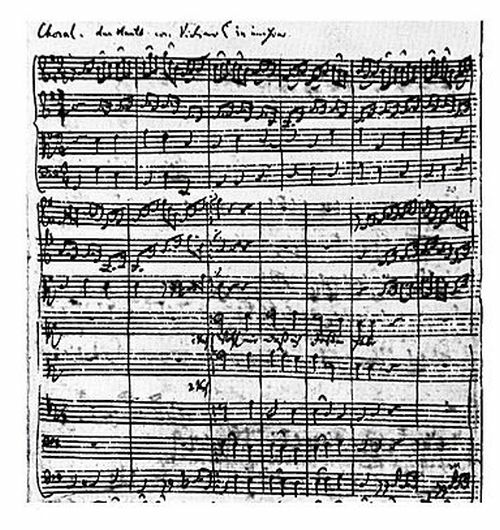 This piece once again showcases Bach's tendency to borrow compositional techniques from contrasting sources; Bach's mastery of these techniques resulted in truly innovative treatment of traditional styles, despite the fact that no novel material was introduced. he collective works of Johann Sebastian Bach are extraordinary in their mastery of past techniques and styles combined with Bach's ability to impersonally attribute innovative combinations of these techniques across otherwise disparate musical genres. His recognition as the greatest composer of this era is well-earned and clearly evidenced, as is his influence on later composers and novel compositional styles. Brian Sullivan received a bachelor's degree from Rutgers University, the State University of New Jersey, in the field of communication, with a special interest in mass communication and media studies. As part of this program, Brian also studied musical theory, history, performance, and the impact of music on contemporary popular culture.